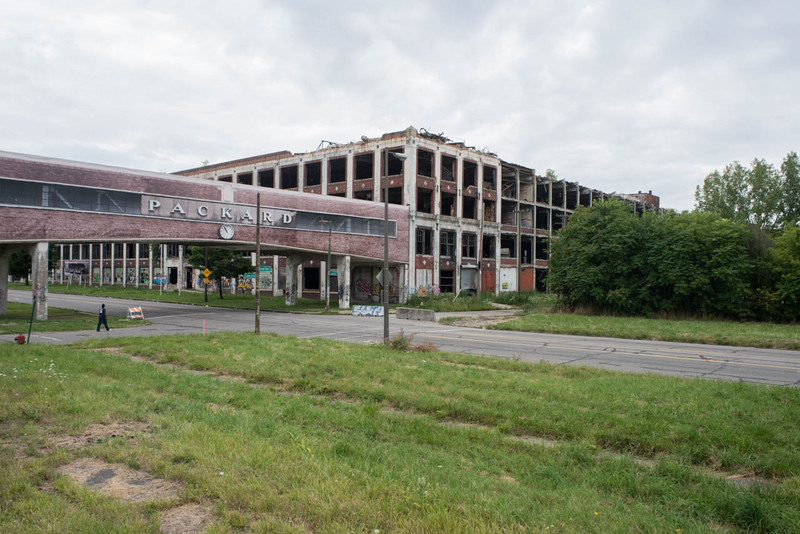 Former Packard Plant, E. Grand Blvd. at Concord, Detroit, 2015. The likeness of the original sign over Grand Boulevard is displayed as a banner. A billboard depicting vintage Packard cars is placed by front of the building. In August of 2015, a tiger brought into the plant by British photographer David Yarrow, got loose and climbed the stairs to the fourth floor of the plant.